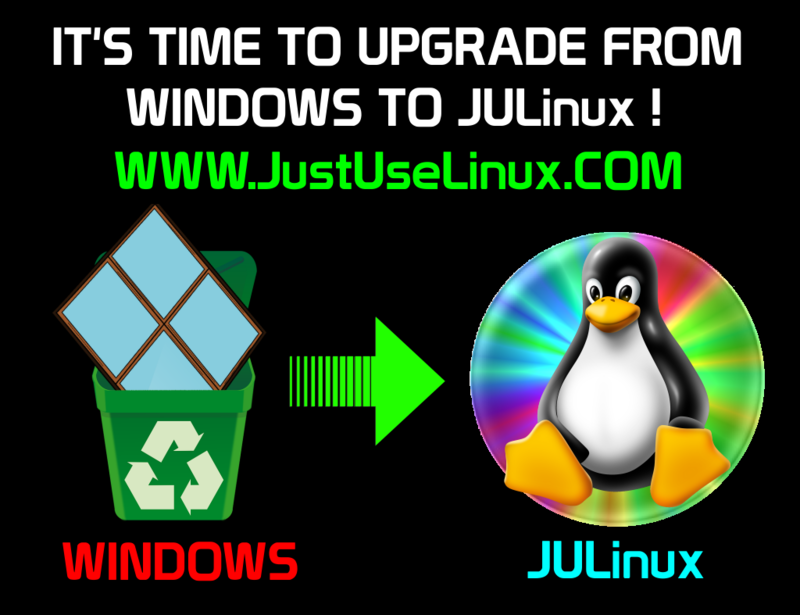 HOW TO UPGRADE FROM WINDOWS TO JULinux ! Quick and Easy. Just watch the video below. #1 FIRST Backup all your Documents, Favorites, Bookmarks... to a removable storage device, cloud server, or other storage. #3 Watch the video below. JULinux is easy to install. 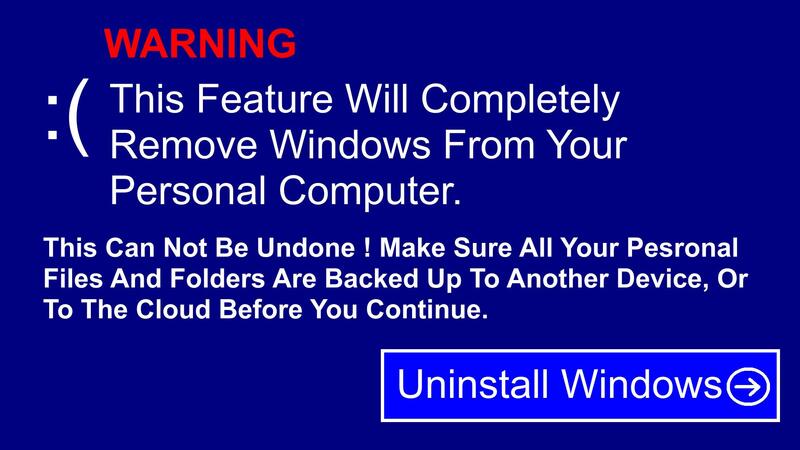 After installing, enjoy the software and share with others.